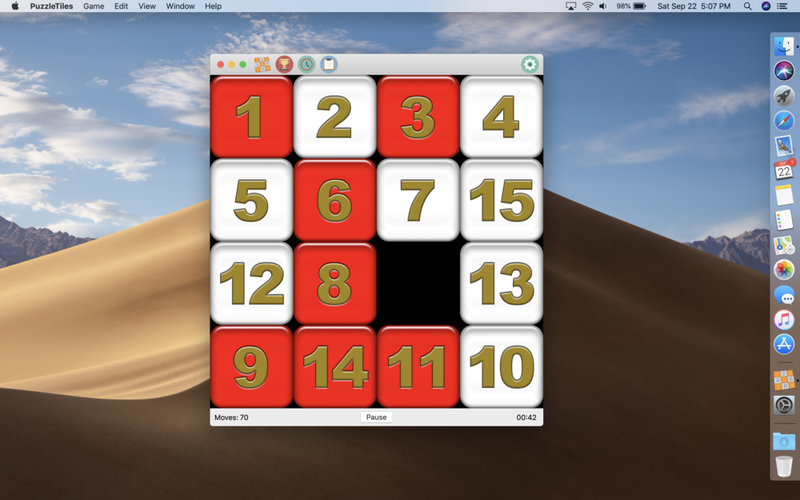 PuzzleTiles is the classic 15 tile sliding puzzle game, for macOS. 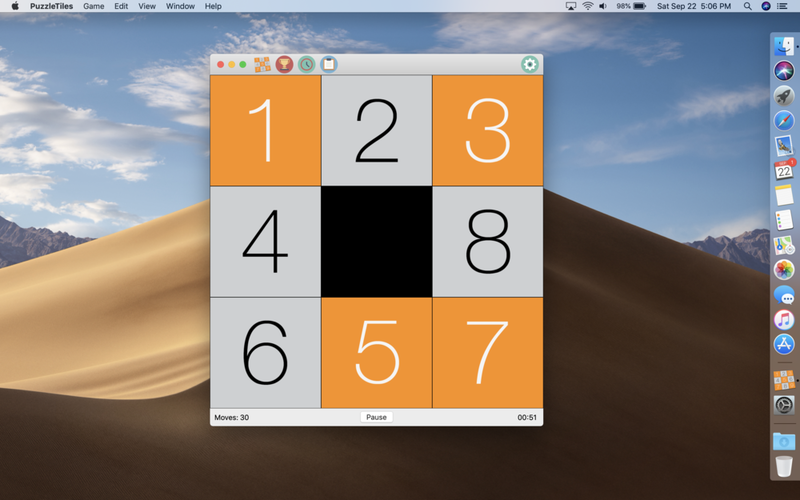 Slide the tiles to put them in order, and try to beat your best time! • Achievements! Can you earn them all? • High score lists. Track your best times! • Automatic save when quitting the app - never lose your progress! 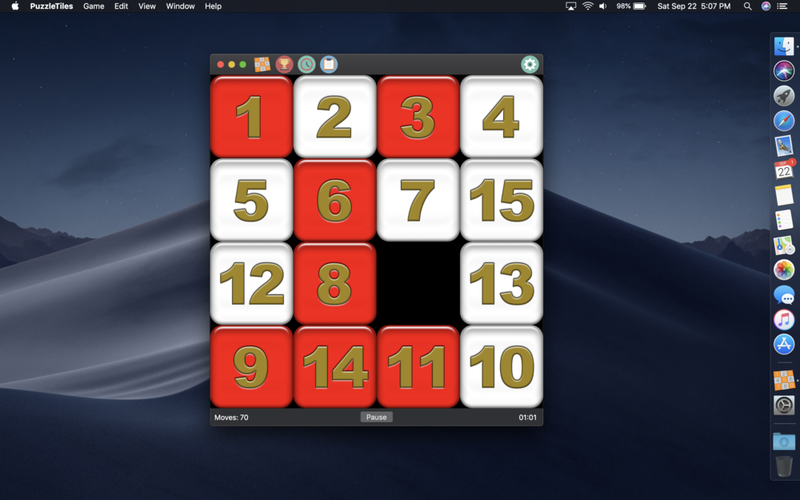 PuzzleTiles is actively updated by a developer who listens to customer feedback, and is passionate about making quality apps. 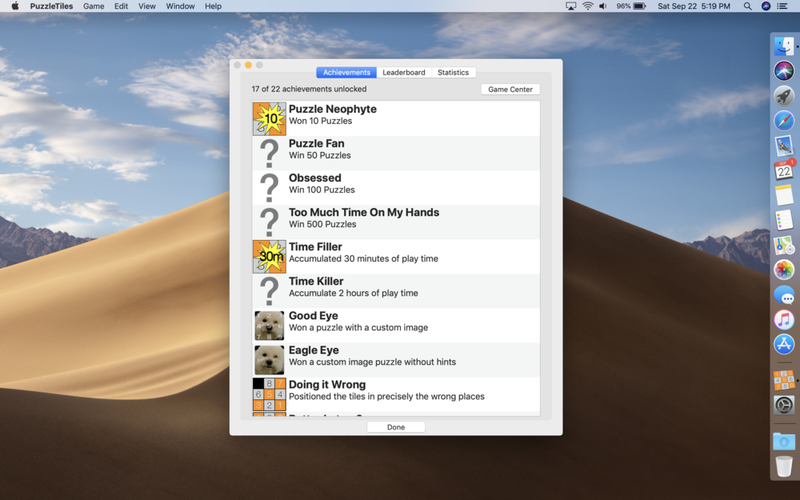 PuzzleTiles for Mac is available exclusively on the Mac App Store. Buy it now!